If I could live in running clothing all day long, I would be a happy person. I have a strong dislike for "regular" clothing or as I often refer to as "work" clothes. I change my outfit several times every morning and as soon I come home from school, I'm changing. But when I found prAna, I found happiness in the world of "work" clothes that didn't make me feel uncomfortable. I actually found clothes I wanted to wear all day long. Clothing that looked great. Felt great. Soft. Moveable. Clothing I could actually do yoga in or chill out at home and relax in. Or I can just do wheel when the students leave. 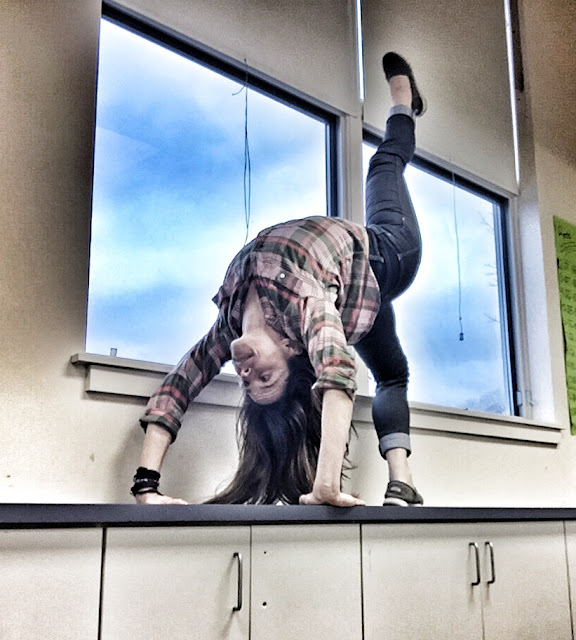 I am finding I love to do wheel in my classroom....while wearing prAna. Coincidence? Hmmmm...... wheel kinda looks like a parabola to me... guess I can start incorporating it into my quadratics unit! I bet my students would LOVE that. Or not. But I would LOVE teaching them about it with wheel. So, I guess at least I would win! As you can tell, I really do LIVE in prAna. This fabulous last season shawl collar sweater (that is fleece lined) with my Kara Jeans. PS I have 3 pairs of Kara Jeans. I'm slowly adding to my Kara Jean addiction. If you haven't worn them yet... DO IT! These are the most comfortable stretchy/flattering jeans I've ever put on. 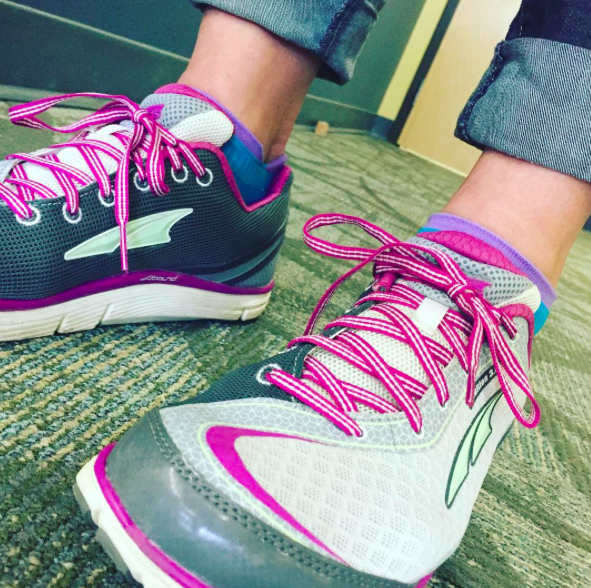 I love a quick little roll of the Kara Jean and wear them with my Altra's for a cute sporty look. And oh look! 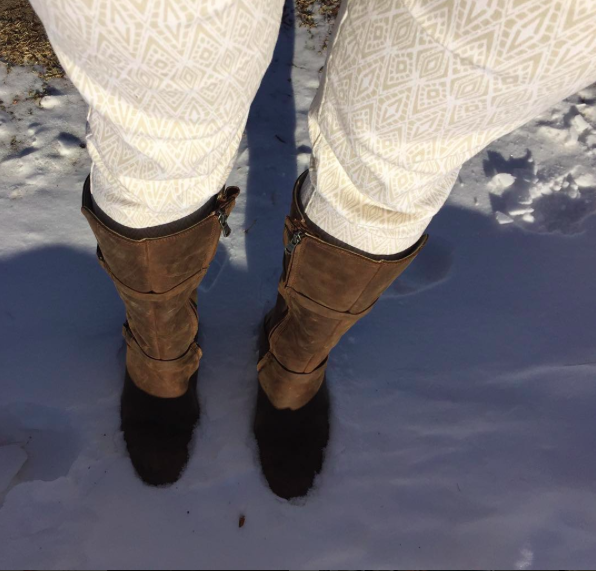 More Kara Jean's! Love them! 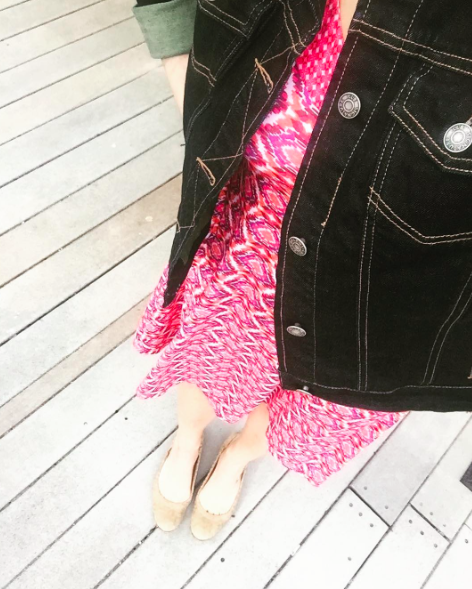 On February 28th, my 39th birthday, it was actually warm enough for me to put on this gorgeous new prAna Cali dress. It's incredibly flattering and so comfortable. It definitely makes me feel like spring when I put it on! And pair it with a jean jacket and tada....you have a cute outfit that is gorgeous is actually a bluesign® garment. Did you know that since 2012, prAna has partnered with bluesign® systems to ensure that the fabrics used meet the highest environmental and human safety standards. Yeah.... prAna. You are amazing! Ready to make your wardrobe springy???? Oh yes you are! 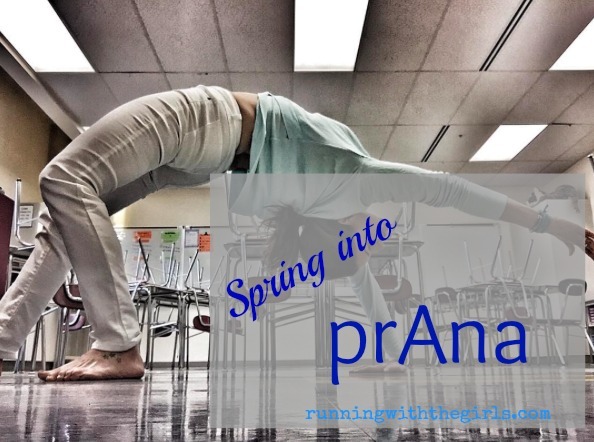 Use PSSS16RWTG for 15% off your purchase from prAna! They have a great sale going on too... so be sure to check it out!